There is a variety of activities in this tiny island. You can find here rich cultural background and many of the cities have sights to be seen. Maybe you are visiting Malta just because of its amazing sea and beaches. Then you will not be disappointed too. People from Europe also visit Malta because of summer schools. 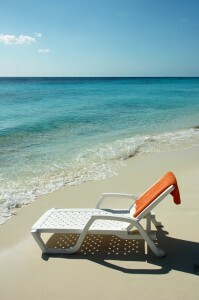 It is a way to spend a nice holiday by the sea and improve your language skills. You can find some great traveller tips bellow. It is just up to you, which one you will choose. Long time passed since people came to shores of Malta for the first time. 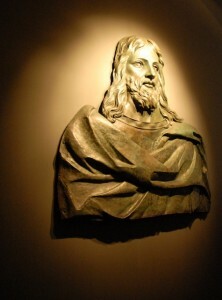 This very time is now stored in the museums of Malta. Malta offers many open-air museums and events. Our recommendation is Archeological museum in Valletta or Palace Armory for all weapon lovers. If you are looking for some family program, you should not miss the Toy Museum, also in Valletta. There is also Museum of Natural history available in Mdina. Worth seeing are religious buildings as well indeed. 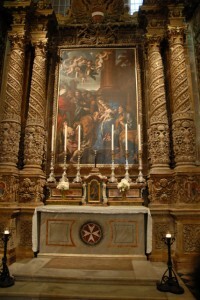 To mention the most remarkable of them: Anglican Cathedral of St. Paul or Cathedral in Mdina. Most of those cathedrals and churches are of amazing baroque architecture. Most of them bear the touch of St. Johns knights. The year on Malta contains various interesting events. If you get lucky and arrive in the right time you can choose some open-air concert or theatre. All the summer you can enjoy carnivals or MTB tracks and horse riding. There are also huge opportunities for hiking, you can explore the island on foot and discover all the marvels of Mediterranean nature or take a hike to see ancient roman ruins. Mediterranean sea and its beaches offers perfect opportunities for relaxation. The conditions are great – average sea temperature in summer is more than 23C and swimming in the clean sea is safe for you and your children. Summer rains are very rare and you can expect sun on sky for almost twelve hours per summer day. On the other side, we recommend you to visit Malta’s beaches in summer. During winter, the days get shorter and water temperature drops too. If you like to spend your vacation in more active manner, then you will be definitely searching for some good sport facilities. 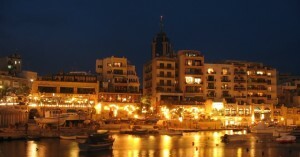 The most developed one is The Marsa Sports Club – located just a few kilometers from Valetta. You can find there almost everything you desire. Numerous tennis courts, 18 – hole golf course, miniature golf, swimming pool and other facilities. You can of course get these services in hotel all over Malta. Just choose one with tennis courts if you desire them. Maltese main spectators sport is horseracing, every Sunday in summer you can see a race. Some of you may have been on Malta due to its marathon. Some of you would just like to see it. It is held at the end of February. Like on any other developed island also here you can enjoy all the water sports and activities. 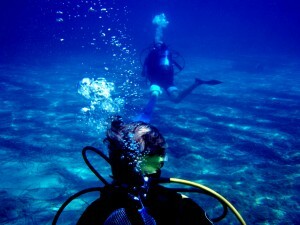 Let us enjoy scuba diving, windsurfing, wakeboarding and many others! Shopping in Malta will not disappoint you! There is wide selection of shops of all kinds. Starting with local bakery and ending with luxury fashion shops. You can also buy some nice souvenirs made by local craftsmen. Valletta can indeed offer great shopping outlets and it is very pleasant to walk through the street market in open-air. Sliema is another decent shopping city. You can rest there on the rocky beaches after exhausting shopping strake.